I'll be honest, its not a deal in terms of price as you can get haggis this size for £3.50 in Sainsburys. However M&S are selling proper ones, made with lamb and in a proper casing. They are 2lbs in weight and cost £4.99, if you're celebrating Burns Night I'd go for one of these rather than a Wall's one. How can M&S be selling proper ones if it contains Lamb (I presume you mean Lamb Meat)? Real Haggis only contains sheep offal, heart, liver and lungs. No, its lamb offal. 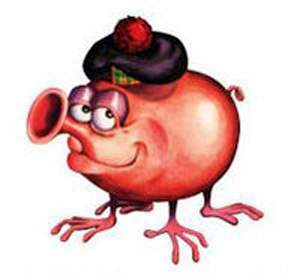 Most haggis sold in the UK use pork offal instead. Lamb lung (35%), Beef fat, Lamb liver (12%), Pinhead oatmeal (12%), Water, Lamb heart (5%), Oatflour, Onions (3%), salt, ground spices. No, its lamb offal. Most haggis sold in the UK use pork offal … No, its lamb offal. Most haggis sold in the UK use pork offal instead.Lamb lung (35%), Beef fat, Lamb liver (12%), Pinhead oatmeal (12%), Water, Lamb heart (5%), Oatflour, Onions (3%), salt, ground spices.You can veggie ones! Thanks for clarifying that, good to see they are being traditional, even though I wouldn't personally want to eat offal lol. To be fair, I know exactly what you mean. I was the same with insects, and even after trying them I'm still not convinced! My mind says no regardless of what my tongue says, so I don't enjoy it. I tried haggis as a kid though, so have no preconceptions. I personally like MacSween's haggis and Waitrose are doing these at a very good price (at least when compared to my local deli). Would be interested to know how M&S's compare. I personally like MacSween's haggis and Waitrose are doing these at a … I personally like MacSween's haggis and Waitrose are doing these at a very good price (at least when compared to my local deli). Would be interested to know how M&S's compare. I got MacSween from asda for £2.60 somthing at the weekend... there 'real' haggis too... parents served me butchers stuff last night and it was amazing(compared to halls)!!! Asda were doing a deal on JUMBO haggis could have been £6 each or 2 for £10? But it was actually the length of my forearm! HUGE... ideal for freezing or a burns supper!! Will see if they are reduced after tonight!! anyone reciting a poem tonight? A kilo of haggis goes a long way, so this is a great deal for a traditional one in the proper casing (sheep's stomach). Cracking stuff, really looking forward to mine later tonight. Are these the farmed haggis or were they shot in the wild ? Macsween's haggis for me thanks. Grim! Don't know which is worse this or mega cheapo sausages?? Then again I guess some people must eat it or it wouldn't be on the shelf! Morrisons sell MacSweens, at least in the NW of England they do. Lamb offal in those too. Exactly... and therefore shouldn't contain any lamb! Grim! Don't know which is worse this or mega cheapo sausages? ?Then again … Grim! Don't know which is worse this or mega cheapo sausages? ?Then again I guess some people must eat it or it wouldn't be on the shelf! You really havent ever tried haggis in your life have you? How can M&S be selling proper ones if it contains Lamb (I presume you … How can M&S be selling proper ones if it contains Lamb (I presume you mean Lamb Meat)? Real Haggis only contains sheep offal, heart, liver and lungs. my understanding of haggis was that the had 4 long legs and 4 short legs to enable them to run around the hills very fast ...i tried and failed on numerous occations to catch them but the were far to fast so heres is some heat..good work. I love the stuff and surprisingly so do my kids, we dont have it often but its a nice change from black pudding with a breakfast sometimes.. Hot . I got the M&S vegetarian ones by mistake,tasted quite nice though,but you do need a sauce/gravy with them as they are a bit dry. Couldn't eat it myself. But it is nice to know that the leftovers I don't want to eat are not going to waste. Just came back from a "haggis hunting trip" in the highlands,cunning little blighters didnt have a chance to shoot one all the time we were there!In the end they had to bring some in from a local butchers for us to eat they taste a little of lamb.Will be back next year to try and bag one of them "Nessies"
Whilst the price for this haggis from M&S may be decent if you want the "real" haggis then the butchers is the way to go. If you are in Scotland you really shouldnt be messing about with this rubbish! If only I lived in Scotland! Last time I was up for a wedding I cleared out the local butchers, bought 11 of them. He thought I was mental! Best I can get down here is MacSweens, which is good, but I have to get it ordered in advance. Only one butcher gets them, the rest all seem to have Halls. On a totally unrelated issue - how I miss "Oor Wullie" & " The Broons"
Always got the annuals at Christmas. If only I lived in Scotland! Last time I was up for a wedding I cleared … If only I lived in Scotland! Last time I was up for a wedding I cleared out the local butchers, bought 11 of them. He thought I was mental! :DBest I can get down here is MacSweens, which is good, but I have to get it ordered in advance. Only one butcher gets them, the rest all seem to have Halls. If you are that passionate about it, get a decent recipe and buy your own sheep offal from a butchers and make your own just as good.